Documents are easily made within Microsoft SharePoint. They are stored directly in the selected document library, including their meta data, making them immediately searchable. 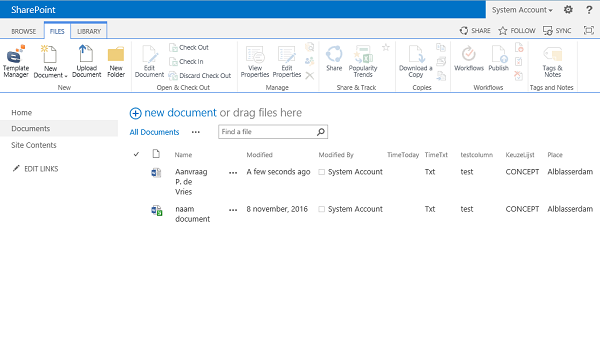 In Microsoft SharePoint, choose the centrally defined document you wish to make. After filling in the required information the document is created in the selected document library. 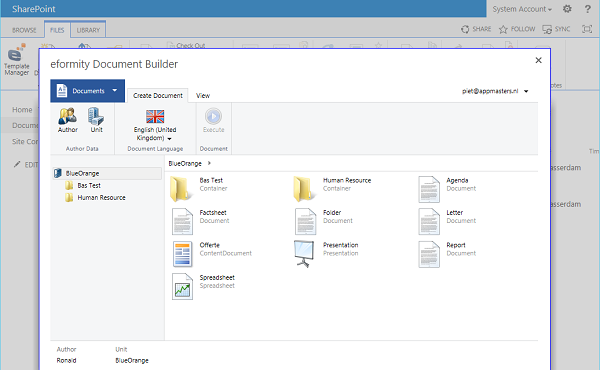 Meta data is automatically added to the document in the document library. In addition, any meta data that is linked to the document library, is used to create the document. An example of this could be a project number.